Area under water: 41,028 sq. km. Area (land):200, 523 sq. km. Uganda lies across the equator between the eastern and western arms of the rift valley in East Africa. It is between 40 12′ North and 10 29′ South, and 290 34′ East and 350 0′ East. It is a land locked country, about 800 km from the Indian Ocean. It is bordered by Congo in the west, South Sudan in the North, Kenya in the East, Tanzania in the South and Rwanda in the South West. Uganda is roughly the size of England or the State of Oregon, USA, covering a total area of 241,551sq. km. About 41,028 sq. km of this area is covered by open water. 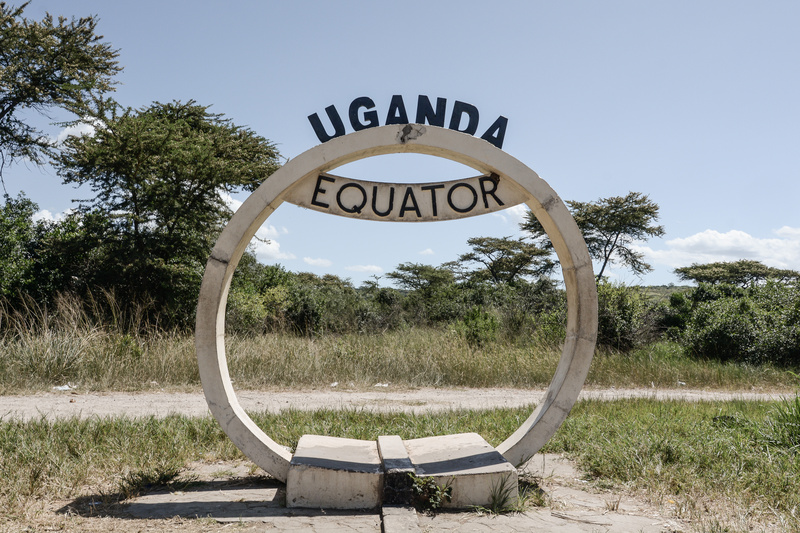 Uganda is one of the countries where one can simultaneously stand in the Northern and Southern Hemispheres. 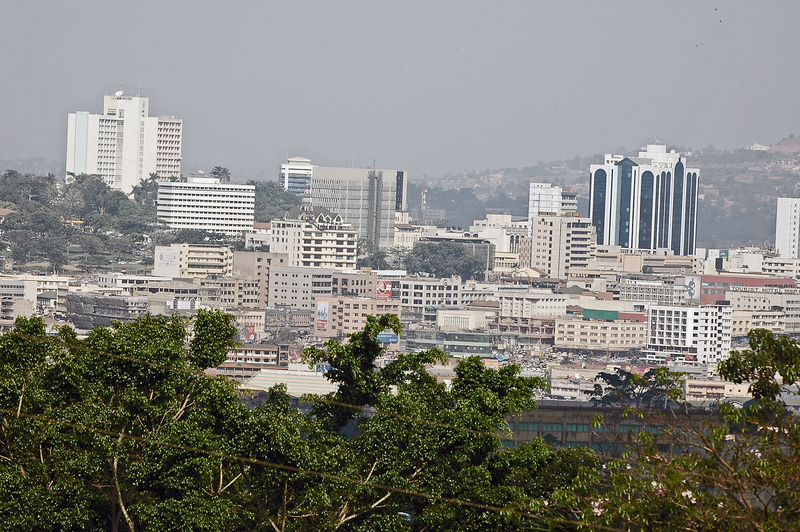 Whereas the Equator often conjures up images of a hot sun, in fact Ugandan weather is a very pleasant mix of dry warm to hot days, cool rainy days and cool pleasant nights. News anchors on Uganda Television used to report the weather forecast: “Some areas will be sunny, and other areas will have rain with thunder and lightning.” They were almost always right. (i) March to May; (ii) September to November. (i) December, January & February; (ii) June, July & August. In the far north east where Kidepo National Park is located, it can be hot and dry all year round. There is no winter, spring or fall. It is summer all year round, with the southern parts cooler than the far north of the country. The weather remains very pleasant even in hottest months of January and February with a daytime temperature range of 24-33 degrees C. in the South. The far North can get hotter, with peaks up to 40 degrees C.
The highland areas of Kigezi in the South West, the Rwenzori Mountains in the West and the Mount Elgon area in the East have even more pleasant temperatures. Sweaters and jackets are usually needed in the evenings, at night and in the early morning. Annual rainfall in most areas of Uganda is between 750 mm and 2,100 mm. Its loamy soils, with varying degrees of sand and clay, make the country one of the most fertile on the continent. There are tropical rain forests in the South, savannah woodlands in the North and semi-arid vegetation in the North-East. Other cities: Arua, Entebbe, Fort portal, Gulu, Hoima, Jinja, Kabale, Lira, Masaka, Mbale, Mbarara, Moroto, Soroti, Tororo.